Ah, the innocense of youth. My teenage daughter is into a lot of things important to adults too: Doing well, being liked, being online, dressing nice, fashion, keeping fit and healthy. Lately she’s also into keeping warm. The reason has a name: January. 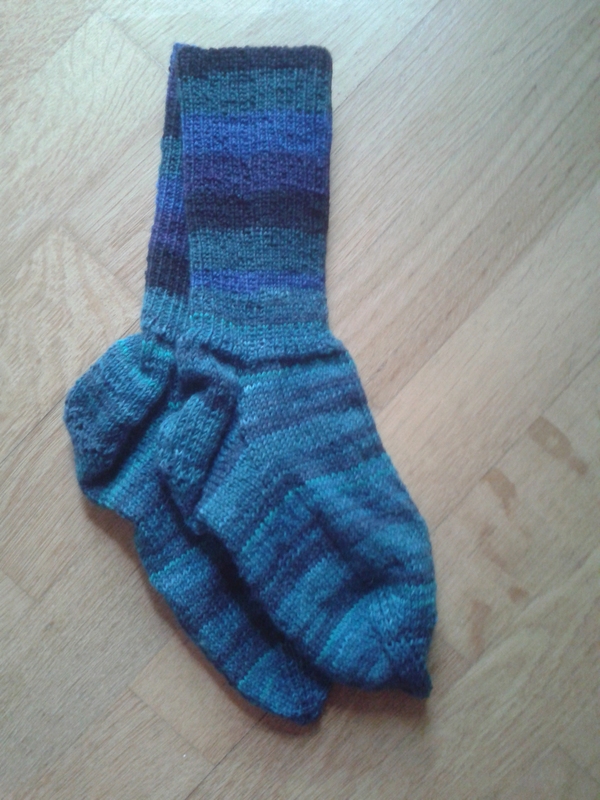 Instead of dressing with a large eye to just the right look, driving her sister and me to head-shaking frustration when packing “suits” as opposed to merely clothes, she asked – pleaded – to have me knit her woollen socks. Always happy to comply with such wishes I asked about colour. I like colours and share this feat with her sister to the point of being willing to fasten extra ends for the pleasure of seeing a pattern grow. A single shade of grey. As followers of this blog may have sussed I’m no fan of gardening. there are things I flat out refuse to do such as hedge-trimming. I’m no good with odd repair jobs either, and as the owner of a house there are regularly things that ought to be fixed. Things my darling husband used to do and still would do if he were still of this world. So instead I rely on relatives and friends. Relatives are good, they’re handy and feel the blood-bound duty to help sis. With friends it’s another matter. I can treat them to good food and drink as I do with family. And then there’s the nice fact that at least three of them like home-made items of clothing. This pair is the most recent in a long string of them.